One pair of cowgirl boots. 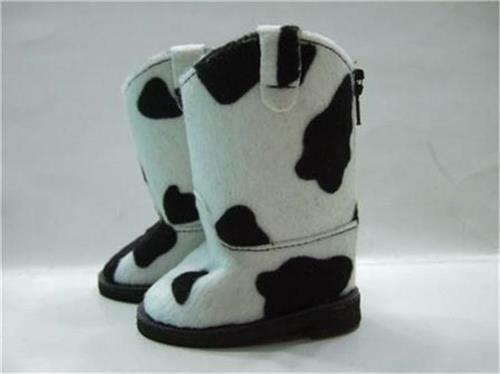 Boots are black and white cowhide with spots. Perfect western look.